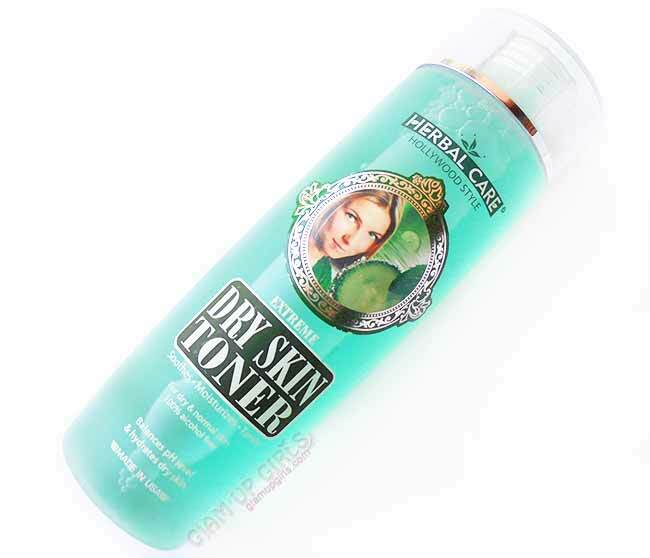 Today i am going to share my thoughts about Hollywood Style Extreme Dry Skin Toner. As strange the name of brand sounds, it is quite amazing. I had been introduced to this brand some years ago and i really loved their face polish but since then i did not try any thing else from it. Recently when i spotted their toner range which have 10 types for different skin and problems, their extreme dry skin toner intrigued me. Having very dry skin and being not able to use oil based moisturizers in this scorching heat, i needed some thing which works for both these issues. So lets see how it turned out for me. This extra-gentle toner dissolves dirt and makeup while strengthening skin's protective moisture barrier. It is made with cucumber juice, aloe vera gel, mint, barley, and other herbal extracts to deep clean and refresh without stripping skin's essential moisture. With regular daily use skin will look softer, refreshed, and younger. 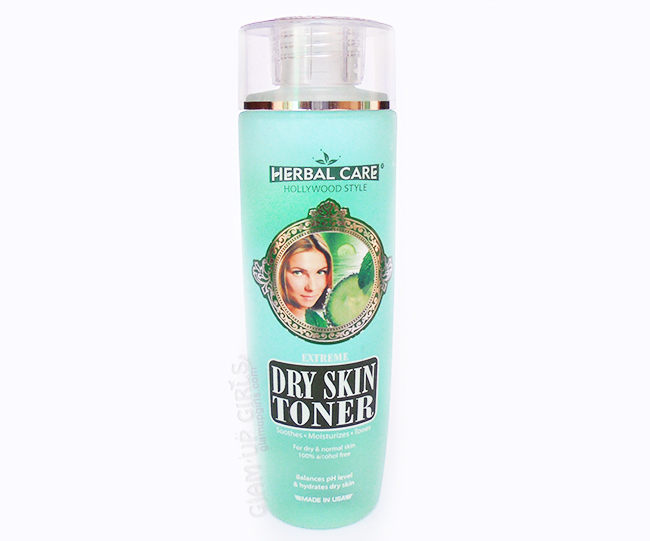 This toner comes in transparent hard plastic bottle with screw cap containing 200ml product. The small hole in plastic cap is very reasonable to dispense the product out. The color of this toner is mint green indicating its main ingredients like cucumber, aloe vera, green tea. It has a very noticeable but not overpowering smell like cucumber which is very refreshing and mood boosting. Why do we need to use Toner? Toners are mainly used to extra cleanse the skin after removing makeup but this is not the only reason to use them. They have quite of few benefits for which you should consider it in your beauty routine. Following are the benefits for which you should apply toner. To restore skin's pH balance, particularly if you use soap based bars or face washes. To clean the pores deeply and minimize the appearance of them. Provides the necessary moisture to skin. Keep skin fresh after removing excessive oil. Apply toner on cotton ball and gently wipe on skin while blotting to get most of the toner. When you blot it will minimize the appearance of pores and wipe out the dirt and oil from skin. It balances the pH of skin which get disturbed because of soap cleansers. I usually use toner at night after cleansing or washing my face but i have found another good use of this toner. I apply it in morning as well, slightly patting on skin and the good reason is that this toner is extremely good for my dry skin. This organic water based toner is really amazing to provide just right amount of moisture to my skin which is refreshing and is very comfortable in this hot weather. My skin is feeling really good after using this toner for few weeks. The texture has been improved and the dryness is in very much under control. Comparing to other toners which are alcohol or citrus based it is non irritant and i have not faced any side effect so far. After seeing good results of this toner my sisters with other skin types are determined to buy it in other types. Overall i am loving this toner for my dry skin, it improved my skin texture and i can even skip other oil based moisturizers in this hot weather.